Intrauterine Growth Restriction (IUGR) refers to a situation where a baby is not growing at a usual rate in the womb. Fetuses do vary in size, and Intrauterine Growth Restriction is more than simply a small baby. It can be due to several causes, including a placenta that is not functioning properly, and carries the risk of certain health problems. Let's take a closer look at IUGR. IUGR babies will be smaller than the 10th percentile for their gestational age. This is something that is diagnosed through ultrasound during pregnancy. Some babies are just small, something that can be genetic. 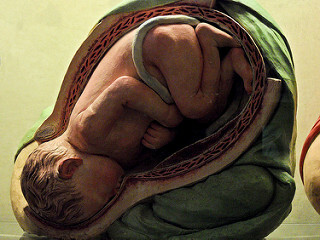 In cases of true IUGR, something is preventing the baby from developing normally within the womb. Following the diagnoses, the cause of Intrauterine Growth Restriction is something that can be inspected more closely. Placental problems. These can include a placenta that is too small, one that covers the cervix (placenta previa), or one that has started to separate from the uterine wall (placental abruption). Maternal medical conditions including preeclampsia, pregnancy-induced hypertension, or kidney problems. Birth defects or chromosomal abnormalities in the fetus. Maternal malnutrition or being severely underweight. Smoking or drinking in the mother. Babies diagnosed with IUGR sometimes turn out to be merely small babies, after all. There should be more to the diagnosis than one ultrasound in which the baby appears small for gestational age; the development is different over a longer period of time, and IUGR babies often have large heads in relation to the rest of their body. Low amniotic fluid can also be linked to IUGR. Babies with Intrauterine Growth Restriction tend to have a low birth weight, and may face difficulty with vaginal delivery. The stillbirth rate is higher for IUGR babies, perhaps in part because their resistance to infections in lower and they have lower blood sugar levels at birth. Babies with Intrauterine Growth Restriction have trouble maintaining their body temperature after birth, and can have an unusually high percentage of red blood cells. How high does blood sugar have to be to cause birth defects?